I love bright and colourful fabric! It makes me happy! So I knew I had to enter this months Le Challenge with the theme 'Bright'. 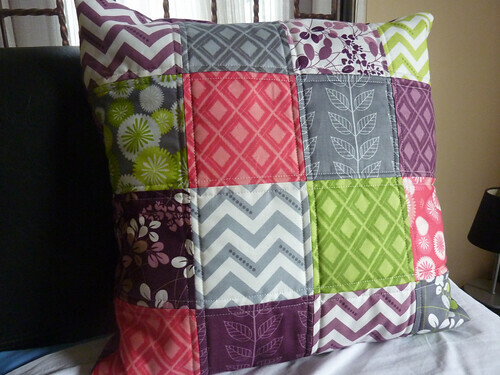 I wanted to make some cushion covers for my sister as a 'Christmas' present for when I see her in June. (I don't see my family that often, but when we do meet up we give each other presents to make up for all the Christmas' we've missed out on!). I used my favourite tutorial to put covered zippers in the backs. I love the colours and I think my sister will too. 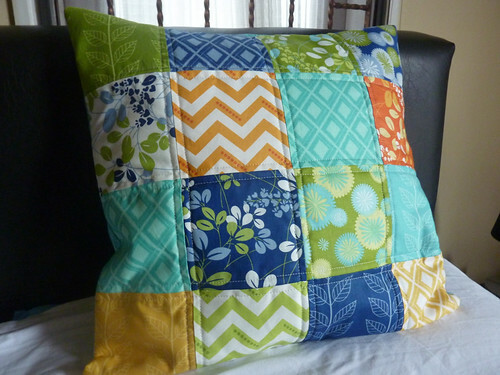 Linking up with Le Challenge, Sew Cute Tuesday, Ho Ho Ho and on we sew, and this is my first finish for the FAL Q2. I love your cushion covers! Today I washed two I made a couple of years ago but they have faded and the white strip is no longer white. Darker and brighter colours like yours are more practical. Pretty! 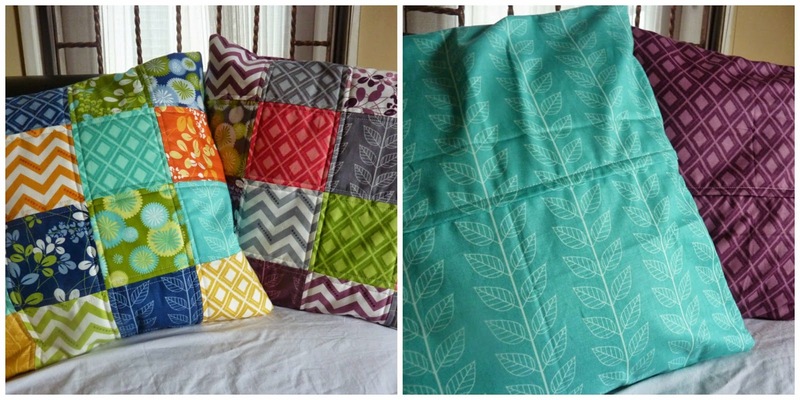 I like the simplicity of those squares and straight line quilting. Lovely design and thanks for the link to the tutorial. Brilliant bright cushions! great use of a charm pack! They are beautiful and bright!! Your sister will love them! Gorgeous! Lucky sister :-) Thanks for linking to le challenge! Nice, your sister will love these! Are you getting excited June is coming soon! Very cute! Your sister is lucky! Thanks for participating in le challenge. They are really pretty cushions. How exciting to be seeing your sister soon! Ooh, I love them BOTH. And they look so cheerful together!! 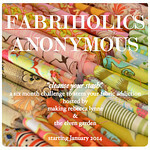 I love bright fabrics, too! Your pillows look gorgeous! They are beautiful! Great colours and love the backs too! Congrats on all your finishes!